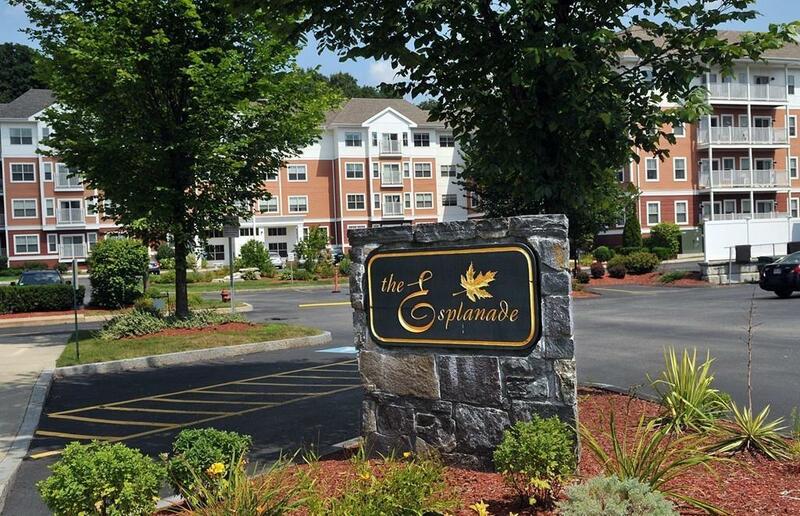 Beyond lovely, well maintained light & bright 1st floor condo at the Esplanade! 55+ condominium complex located in walking distance to historic downtown Hudson, Assabet River Rail Trail & town library. Unit is move in ready, freshly painted & carpets cleaned! Kitchen boasts granite countertops w/stainless steel appliances, open to spacious dining and living room with atrium door to private patio overlooking garden. 2 bedrooms, 2 full baths, washer/dryer in the unit, 2 walk-in closets & large linen closet. 1 deeded parking space in underground garage, plenty of addition parking in private lots, locked storage unit included. The common areas include lovely lounges, library, a fitness room, event room, cafÃ© kitchen & an outdoor patio barbecue area. Hudson shuttle available Monday-Friday w/Esplanade pickup. Easy access to major routes, dining, shopping and entertainment.